This is a post that I’ve been wanting to do for a while now, but I wasn’t sure how exactly to do it! See, as a student of a subject like English, your days can certainly be very varied. But, today is Monday (my busiest day of the week) and I’m going to bring you along for the ride. Wake up time. I’ve usually laid out my clothes the night before because I am NOT good at early mornings, so I simply pop these on, brush my hair and teeth, and do a little bit of make up. I cannot eat this early in a morning, so I have a few sips of water and pack a banana for lunch on the go. I begin my walk to university. This usually takes me around 25 minutes but today I do it in 15 because I get a bit carried away when I listen to music and walk! I wait around for my lecture and eat my banana breakfast. Some of the people that I chat to on my course arrive, so I have a little chat and then head into the lecture. Today’s lecture is on William Blake, specifically Songs of Innocence and Songs of Experience. I have never actually encountered either of these works before, nor any of Blake’s work, so I am intrigued! Lecture’s over and I head to what we call the ‘common room’, which is essentially a quieter area of the SU where I like to get some work done. I realise that my salad dressing has leaked all over my bag (#greatstart) so clean that up, and then get on with reading Blake’s Songs of Innocence and Songs of Experience for my seminar at 1pm. My phone is dying and there isn’t any available plug sockets, so I head to the library reading room to charge it. In here, I do some social promotion for my new job via my phone. And I eat lunch, too. Seminar time! This seminar is on William Blake and follows on from the lecture this morning. We discuss various poems by Blake, as well as comparing and contrasting them and looking for layers of meaning. The seminar finishes at 1.50pm and I leg it across campus to my next one. I arrive to my second 2 hour seminar significantly sweaty, thanks to the little sprint. Our campus is great for getting around generally as it’s rather small, but I had to leave the second busiest building and get into the busiest, so as you can imagine it took quite a while! This seminar is on my special subject for the term, language and the news. This is all about how the news uses language, whether that be spoken, written or otherwise. This is an introductory seminar and we decide on presentation topics for later in the term. 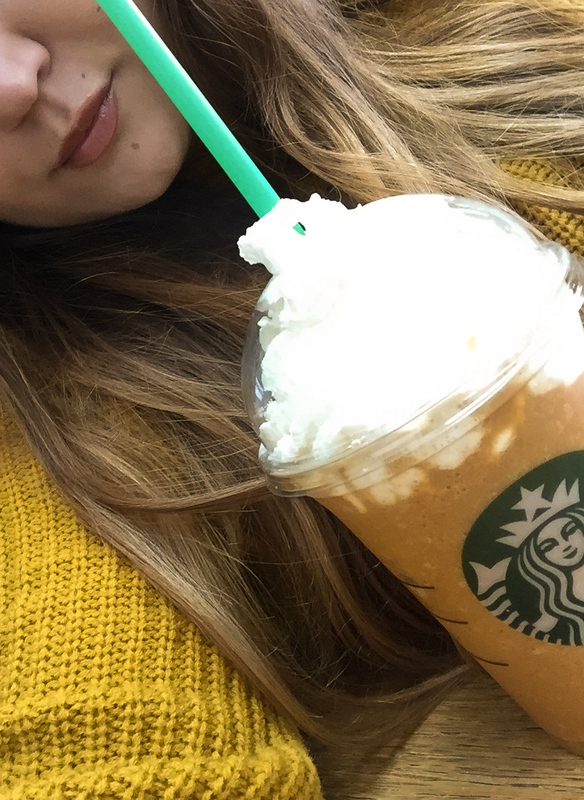 We finish half an hour earlier than usual, so I head to Starbucks for a pumpkin spiced frapp. This usually would be my hometime, but today I have a welcome back talk for my other job at 5pm. So I spend some time in the library on a computer continuing my social work from this morning. I also email some department heads about my plans. Time for the welcome back talk! We basically get briefed on what has changed over the summer and any other info we need to know. I head straight to the gym from uni, and do half an hour on the bikes. I have my first (and last) yoga class at 7pm with my housemate. We both agree never to go again and head home. I shower, eat and crawl into bed. It’s been a long day. I usually like to read to wind down, but my brain can’t take it today. So, I decide to watch a Netflix documentary. I cannot keep my eyes open any longer, so it’s lights out and night from me.